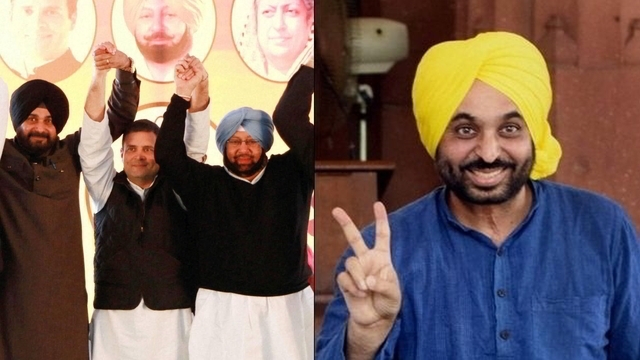 Punjab election results 2017: Amarinder Singh's 10-member team which propelled Congress to victory. Captain Amarinder Singh: Head of the royal family of the erstwhile State of Patiala, he was Chief Minister of Punjab from 2002 to 2007. He was out of power for a decade, before finally taking the Congress's ship to victory. But, the Captain himself could not have done this without his team of 10. Kishor's strategy seems to borne good result weaving effective campaigns around Captain. You often spot him around Captain, but managed to keep a distance from media. In Punjab, the 'Coffee with Captain' campaign along with 'Punjab da Captain' revolving around Amarinder seems to have stuck a cord with voters. Focused ground and social media campaigns aided Captain's campaign. Senior journalist Raveen Thukral is Amarinder Singh's Man Friday. Thukral, who is often shuttling between India and Canada where his family is now based, was entrusted with the task of drafting the media strategy for Captain Amarinder Singh, as well as the overall media approach. A call and an advice away. He networks well with Amrinder's family as well. Raninder's own political career may have failed to take off, but the dutiful son has campaigned hard for his father in Lambi, where Captain lost the battle to 5-time MP and CM of Punjab Prakash Singh Badal. The son oversaw the campaign, working with Congress workers, coordinating and running a strong campaign. As Captain was busy touring the state, Raninder took upon himself to ensure that his father presence was there in the constituency in which he had thrown in his hat. Petite Preneet Kaur led the campaign in constituency of Patiala in which the Captain won by a landslide victory margin. She filled in the boots for the Captain while he was away campaigning in other Assembly seats. Being the Chief Ministerial face of the party, back in Patiala, the Maharani was hard-tasked to carry out a battle to ensure that her "Captain" does not lose this battle to the General, former Army Chief JJ Singh of SAD and to AAP's candidate Balbir Singh. The shy and quiet Jai Inder Singh would spend hours over cup of chai and coffee. Handle the war room in close door meeting with the confidante's of the party. Strategising and re-strategising. Rejigging idea's and campaigning for her father. Nirvan Singh, is quietly learning the ropes. Though a reluctant politician, the suave Nirvan has handled the social media of Amarinder, tweeting and posting comments on Facebook to engage young voters. He has made his grandfather learn the social media warfare. A post-graduate in international relations from UK, Nirvan Singh was actively helping grandfather Amarinder in running his party's campaign in Punjab this time. He was handling the campaign on social media and also liaisoning with party strategist Prashant Kishor. Brought in to do the "balancing act" among Congress warring factions, a royal like Amarinder, she is by Amarinder's side and ensures the coterie stays out of frame. Her job is to ensure all the wheels of the campaign machine were well-oiled. Belonging to the old-school, who believe politicians, not strategists, win elections. A six-time MLA and former minister, Lal Singh, wields his power in the war room as the senior vice-president of the Punjab Pradesh Congress Committee and an astute politician. A hands on person with details on almost everything in Congress office - from campaign and candidates are routed through him. He has been party's turn-to-guy on tricky situations. 10 Capt Sandeep Sandhu, general secretary in-charge alias "Chotta Captain"
A former merchant Navy captain, he is the logistics man of the party and also the party's interface with Kishor's team I-PAC, AICC and district leaders of the party. He is Amarinder's ear to the ground and store house of all information - from candidates, elections to campaign details. Man who is news from his googly to his Maha kal pooja. Many accused Sidhu of being opportunist, and having put an axe on his foot. But the cricketer has been a game changer, being on the winning side after almost liasoning with AAP. Sidhu has been a star campaigner, though he joined the Capt bandwagon last minute. He is expected to reap benefits.